I also answer to Tara. 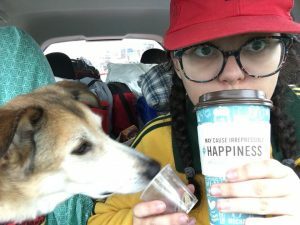 Taralei Griffin is an independent journalist & rideshare driver, living in Alton, Illinois with her dog, Layla, and multiple house plants named after Marvel characters. In spite of the year she insisted on dressing as the American flag for Halloween, no one thought this quiet bookworm would be interested in politics. From 2009-2011 she studied technical theatre in college, then dropped out and began working as a freelance journalist, interviewing up-and-coming musicians in Nashville, Tennessee. About that time, she also began watching The Young Turks – and because of this, in April of 2016 she shocked everyone in her life by dropping everything to join a 10 day march from Philly to D.C. to help bring attention to the issue of big money in politics. There, she was given the chance to assist TYT Politics in their coverage of the protests in D.C., and since then, she has also covered politics, especially human rights issues and their effect on every day people. From going undercover at a Nashville Trump rally, to digging into the mess a corrupt mayor has made of a southern Chicago suburb, to observing the reality behind “progressive” conferences, Taralei won’t let anything stop her from speaking truth to power. Inspired by the inspired, in January 2018, Taralei founded Meridian Creators. It is an online publication focused on sharing the stories of artists of all mediums who are working to effect real change on the world. 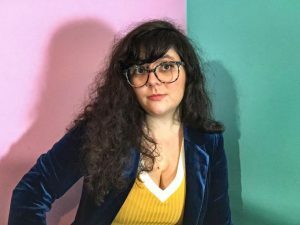 She is working to expand Meridian Creators beyond the artists she interviewed in Middle Tennessee, and hopes to hire independent journalists in other cities who will write about artists local to them. In an effort to expand Meridian Creators, she drove the length of the Great River Road and will be releasing a book about the creative people & places she encountered in Summer 2019. Through her interactions with independent artists, Taralei discovered a need for skilled yet affordable and flexible PR, photography, and content creation services. Playing on the double meaning of her own initials, she started TNG Squared – media resources for the next generation. 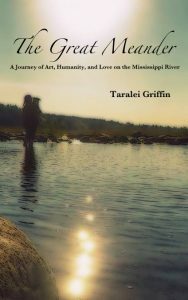 When she has time, Taralei also writes fiction and poetry. She has a sci fi novel in the works, which she hopes to finish before she’s 30. Some of her biggest inspirations in writing & storytelling are Ray Bradbury, Anthony Bourdain, J.K. Rowling, Margaret Atwood, and Joss Whedon. You can find links to follow her Facebook, Twitter, and Instagram accounts in the sidebar. Fellow Bookworms can see her reading suggestions on Goodreads. Any questions, feel free to send an email!